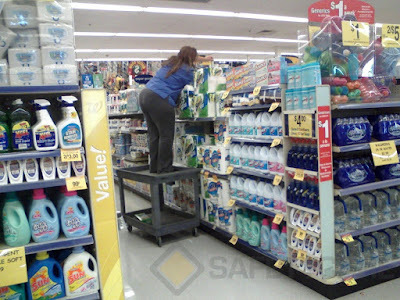 Using a trolley as a substitute for a step ladder is a very unsafe practice. Falling, even from this seemingly low height can result in serious injury. 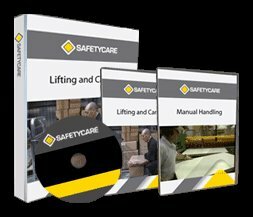 Slips, Trips and Falls are the second most common accident category in the workplace today. This shot perfectly illustrates why. . . Slips usually occur when there is a loss of grip between the shoe and the floor. This commonly occurs when there is a contaminant between the shoe and the floor. Trips occur when a person’s foot hits a low obstacle in the person’s path, causing a loss of balance. Often, the obstacle is not easily visible or noticed.